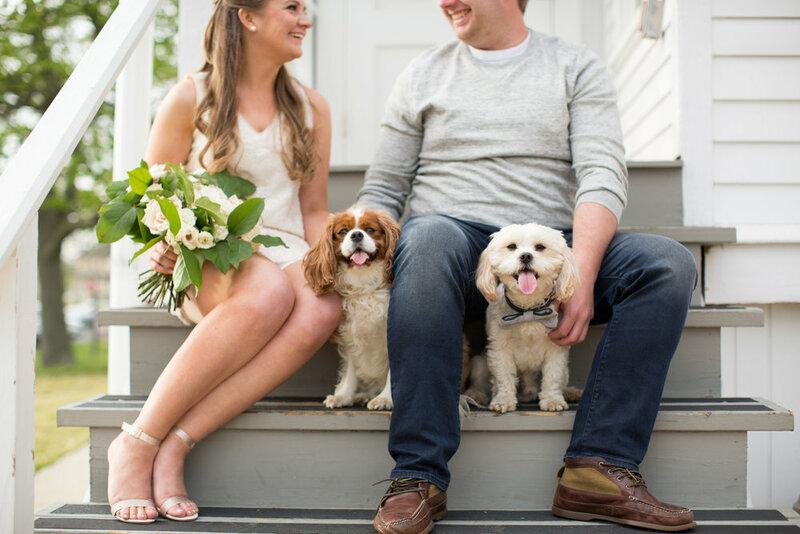 Engagement sessions are an incredible opportunity to work closely with your photographer while learning cues and tips to achieve the best look. 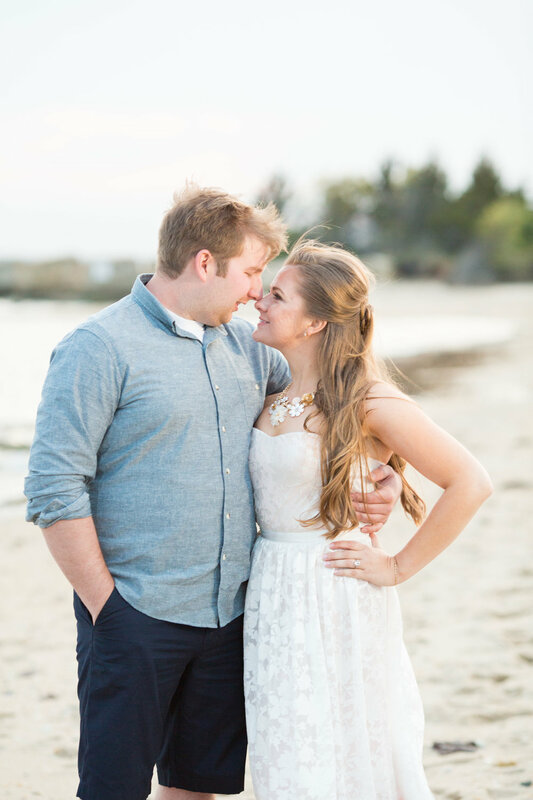 Even if you aren't sure if an engagement session is right for you I say do it! 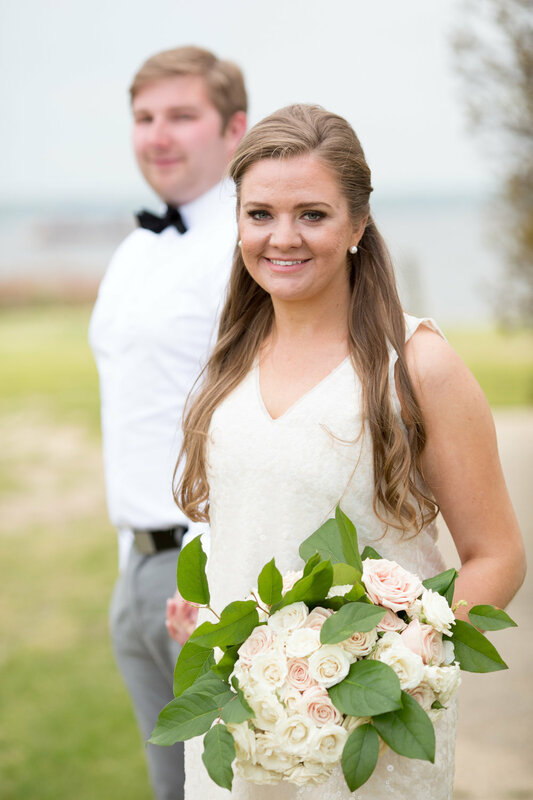 Not only do you get amazing images out of it to celebrate your engagement milestone but the practice also makes for a seamless and stress-free photo experience on your wedding day. Below is a complete guide on how to select your location, outfits, and props to create the engagement photo story you will love. Location is key! When brainstorming the best location for your engagement session start simple with proximity. Most of the time these sessions will take place during the week just before sunset, and unfortunately for most of us we work during the day. The closer the location is to your home or office the more convenient it will be to schedule your pre-shoot prepping and the actual session. Once you have a general area consider places you love to go together. Locations with multiple backdrops are great for variety. Bryan and I took our photos at Sandy Hook in an old bunker, at the lighthouse, and on the beach. Each spot gave us a different look and feel so we had a ton of great photos to choose from. Choose somewhere you love and visit often. You will love and appreciate your photos if you choose a place that is special to you or that you can revisit over and over. Maybe it is a boardwalk near your favorite beach, a park by your house, or a city that has your favorite restaurant. Whatever your style select a location you love! 2. Invest in hair and makeup. Your engagement photos are forever so make them good. You will take the best photos if you look and feel your best. So spoil yourself a little bit and turn the photoshoot into an experience. Pamper yourself a little bit in professional hair and makeup. Don't forget about the groom to be either. Make sure the groom's hair is looking its best also! It could be a great time for some of you brides to be to try out a hair or makeup artist you may be considering for the big day. For our shoot I used one of my favorite people and former bride, Sheri, from Sebastian's Hair-em right in Red Bank. It was only a few miles from Sandy Hook which was perfect for us! We were even able to get ready there. 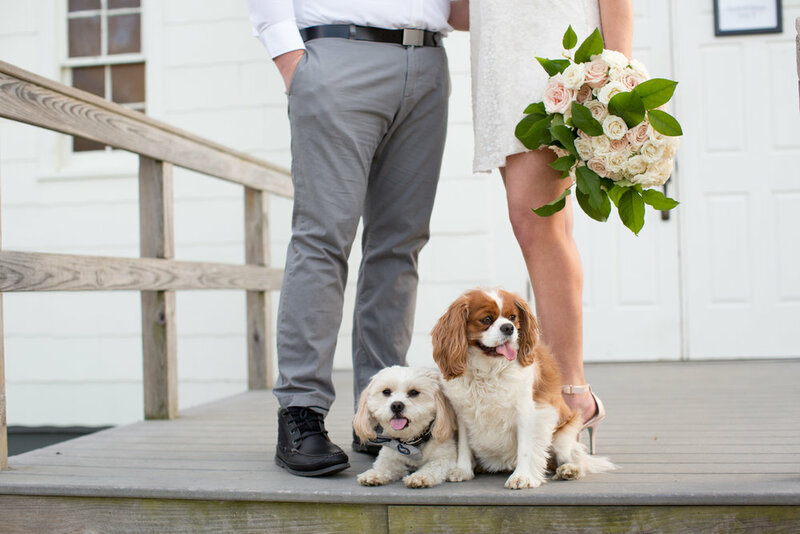 Make the occasion a "family" affair by including your fur babies. They can make the shoot that much more personal and fun. You can even have fun with their accessories to enhance the overall styling of your shoot. Make sure they are groomed and camera ready though. Also keep in mind that you will need to bring an extra set of hands to watch the dogs during their breaks. They can be a handful, so a dog sitter and some treats are essential for their cooperation. To get the most out of your session and create a versatile portfolio of options from the shoot bring an outfit change. You can almost make two completely different shoots in one if you select a great location and change your overall look. Swap out clothing, accessories, shoes, or even change your hair and makeup if you dare. Select items that you are comfortable in and feel about wearing. Remember, you want to look and feel your best! Jaye Kogut, of Jaye Kogut Photography, recommends not wearing bold prints that will distract from the two of you, avoiding white unless you are confident wearing it, and keeping the weather in mind when selecting your engagement shoot wardrobe. Prior to our shoot Jaye also recommended bringing lots of accessories as options to add a pop to the photos. 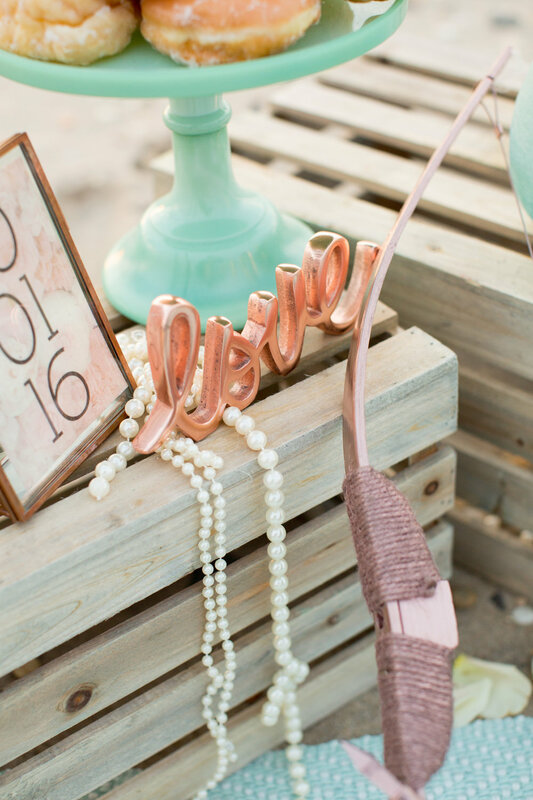 The statement necklace in our beach photos is still one of my favorites. Any accessory like shoes, necklaces, hairpieces, bracelets, etc can be an opportunity to add color, sparkle, or some personality to the shot. My Betsey Johnson heels were my favorite color, rose gold, and even had blue soles which tied into our color story. Talk about fun! She offers an entire collection featuring the signature blue for your wedding day look. 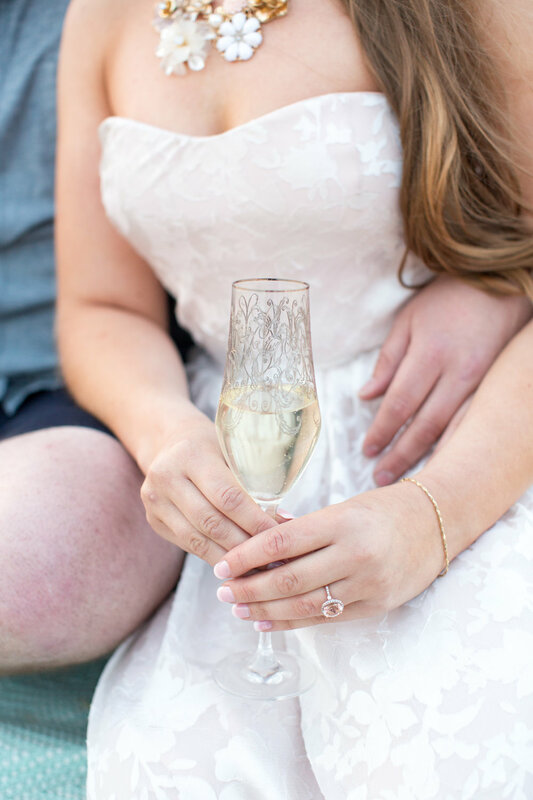 Make sure that your ring is sparkling for it's photo debut. You can bring it to a jeweler and have it steamed or clean it yourself with dish soap in warm water and a soft bristle brush (I use a paint brush). You want to make sure you are showing that beauty off! 6. Have fun with props. Adding some of your favorite items or things you love are a Not only can props bring together a specific color story or theme to your photos but they also create special moments and add a bit of fun to the experience. Consider custom signs, floral bouquets, champagne, or even just things you love. You can even create a sweet little setup to style to the shoot a little bit further. Bryan and I set up a picnic on the beach because it is something we always enjoy doing. Naturally we included our favorite donuts that we get on our way to the beach and champagne because we love popping it. I also made some signs that said save the date and got a giant monogram balloon. These props can even carry through into your wedding day photos if you want. 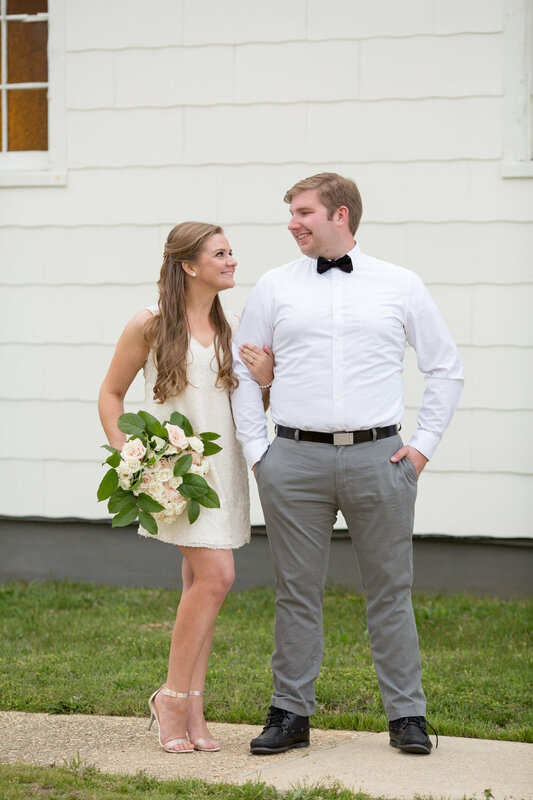 I re-purposed a rose gold bow and arrow that I handmade in our wedding day pics. The champagne glasses we used were actually our toasting flutes on the big day. Adding some of your favorite things or items that mean a lot to the both of you are an easy way to add sentiment to your photos. Our props really added some color and more of a beach vibe to the end of our shoot which varied from the beginning part of the session. Like I said earlier, if you choose the right location, change your outfit, and have some fun it can be like two totally different shoots all in one. The more fun you have the better you will look and feel in your photos. Take the opportunity to create memories. It isn't all about the photos but more importantly the experience hat you have creating them. NOW BOOKING COUPLES FOR 2018, 2019, AND 2020! PLEASE INQUIRE ON OUR CONTACT PAGE! See more of this engagement shoot on Engagement 101 , Jaye Kogut Photography , and Something Turquoise ! Danielle's Look: BCBG dress and Betsy Johnson heels.